I'm writing to you from Hutchinson, Kansas, traveling on book tour for my twentieth Elm Creek Quilts novel, The Giving Quilt. 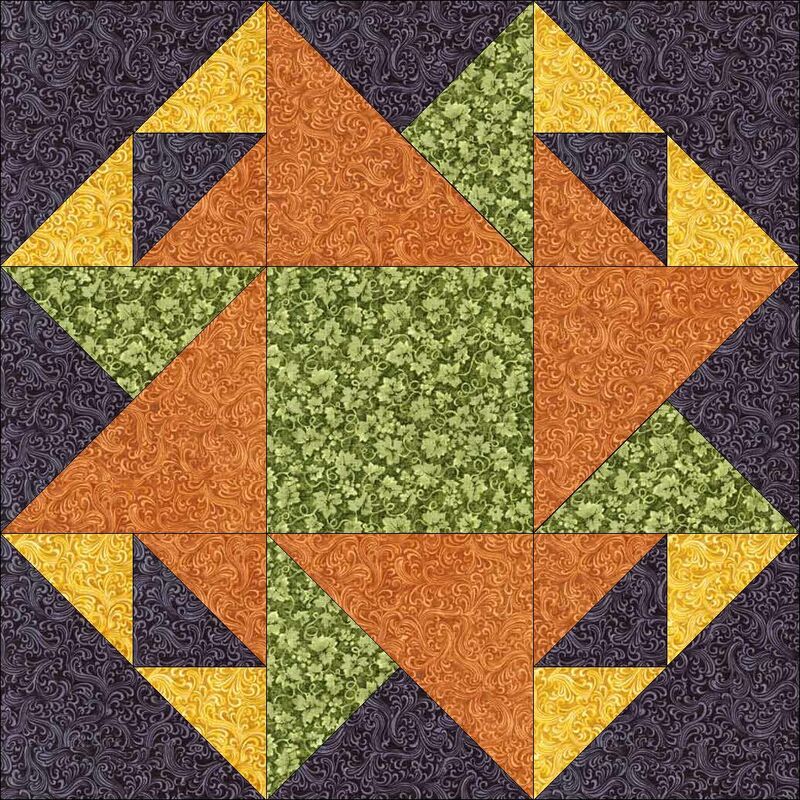 At the same time, I'm also participating in a blog tour because one of my original quilt block designs, Coffee Mill, will be included in Quiltmaker's 100 Blocks Volume 6. This wonderful new collection of block patterns officially goes on sale on November 13 2012, although you may be lucky enough to spot it on the shelves of your favorite quilt shop or newsstand even earlier. 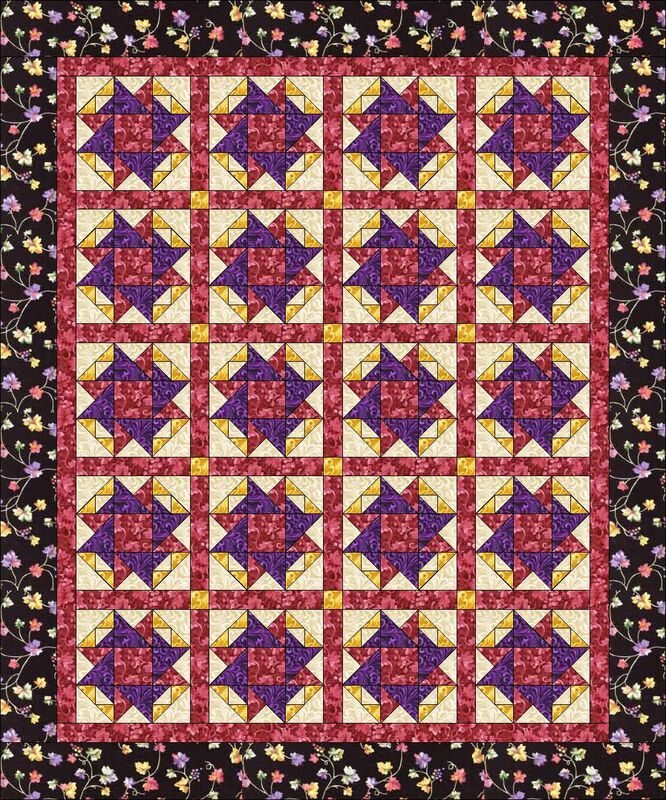 My Coffee Mill block is a 12″ (finished) version of a 6″ block included in the Loyal Union Sampler, a quilt featured in the seventeenth Elm Creek Quilts novel, The Union Quilters. 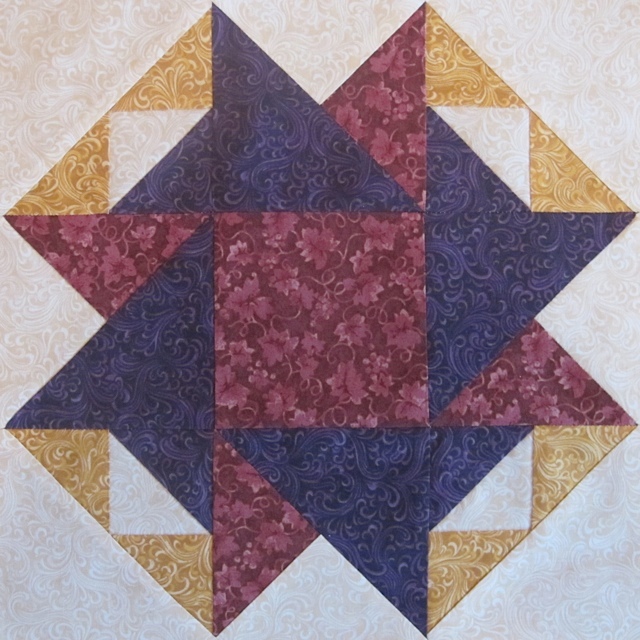 I used fabrics from my Red Rooster Fabrics line, “Elm Creek Quilts: Rosa's Collection,” for this version of the block. 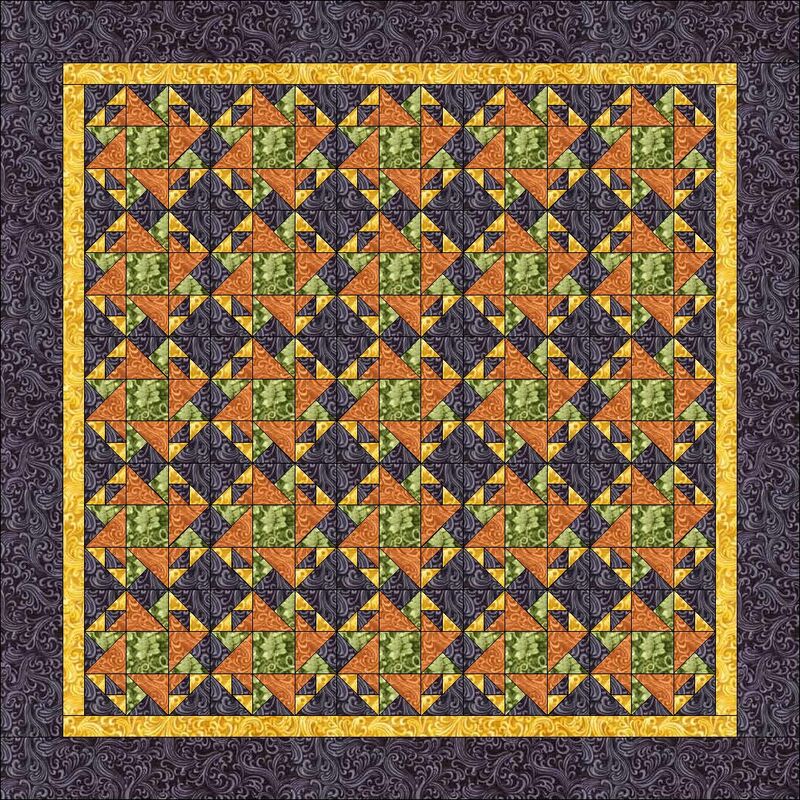 This version also uses “Elm Creek Quilts: Rosa's Collection,” but the dark background fabric gives the block quite a different look. 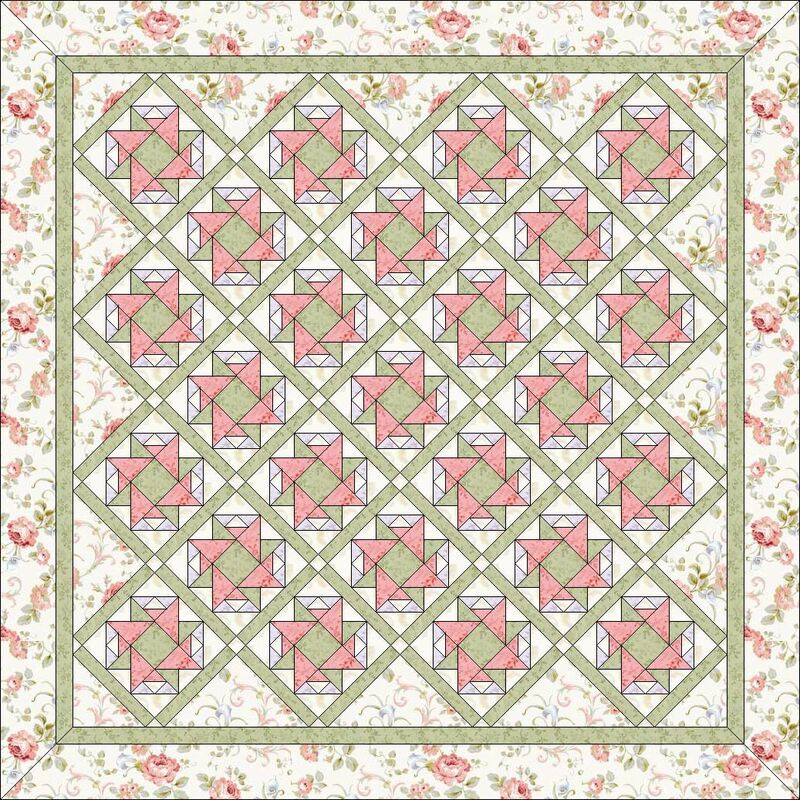 “Elm Creek Quilts: Caroline's Collection” fabrics give the angular lines of the Coffee Mill block a softer, more romantic appearance. 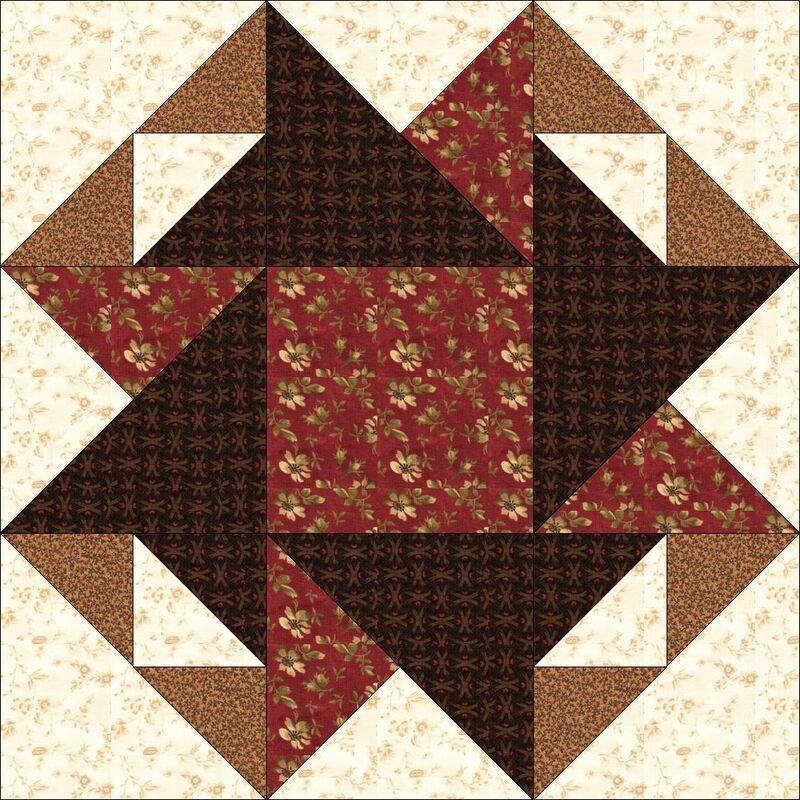 The darker “Rosa's Collection” block, arranged here in straight sets without sashing, is perfect for Halloween, and we aren't too late to enjoy that! 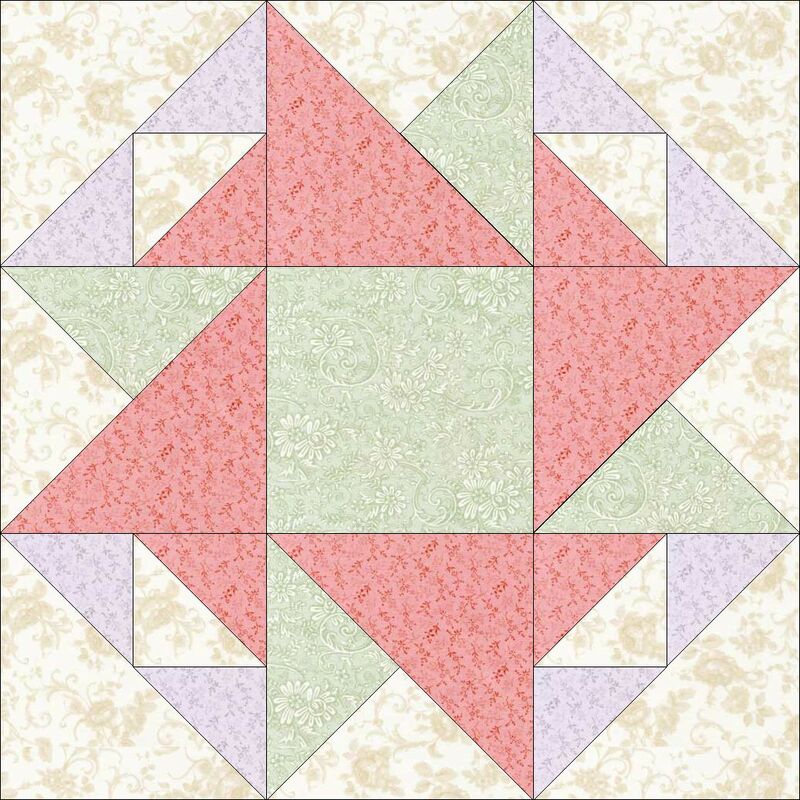 Wouldn't you like to to try your hand at this fun block and some of the other 99 patterns in this special issue? 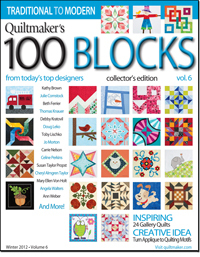 The creative staff of Quiltmaker have graciously offered to give away a free copy of Quiltmaker's 100 Blocks Volume 6 to one lucky person who visits my blog today. All you have to do is post a comment here providing the name of your favorite food, beverage, or kitchen-related quilt block! (Are you a Coffee Mill person, or do you prefer Tea Leaves? Is your kitchen trash bag likely to contain more Orange Peels or Apple Cores?) A winner will be selected at random from those who comment on this post before 11:59 PM Central Time tonight (Nov 6). Remember, to qualify for the drawing, you need to provide the name of your favorite food, beverage, or kitchen related QUILT BLOCK, not your favorite food or beverage. Don't forget to follow the Quiltmaker's 100 Blocks Blog Tour November 5-9 for inspiration, conversations with some of your favorite quilt designers, and lots of great giveaways. 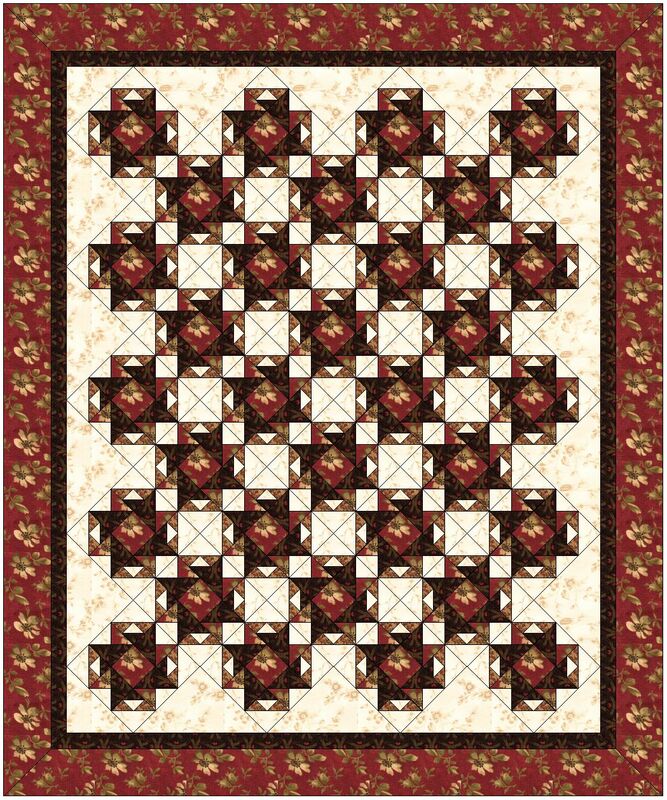 Quiltmaker's 100 Blocks Volume 6 will be available in your local quilt shop by November 13, 2012, or you can order it directly from Quiltmaker.